KANSAS CITY, Mo. 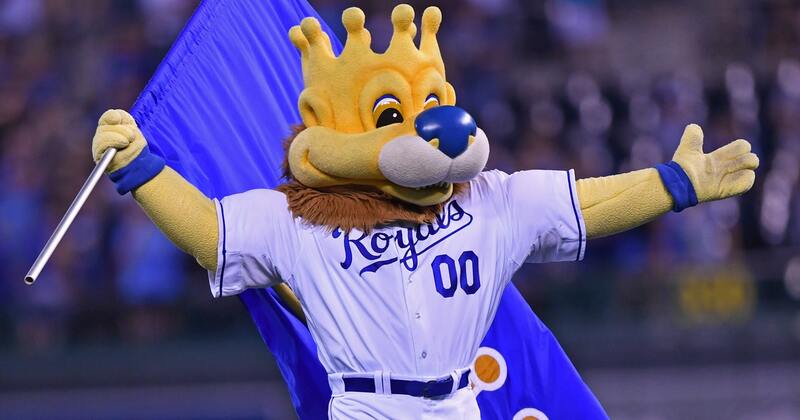 — One month into the season, the thought among baseball insiders was that the Kansas City Royals would be among the most active teams in the American League at the July 31 trade deadline. Their line of thinking has proven correct. Their line of reasoning turned out to be backward. The Royals got off to a 7-16 start in April, and the assumption was a core group of players that delivered back-to-back AL pennants and a World Series title would be sold off before hitting free agency this offseason. Stars such as first baseman Eric Hosmer, third baseman Mike Moustakas and outfielder Lorenzo Cain would be contending for a title somewhere else in August and September. But the plucky, small-market club managed to turn things around. The Royals finished a game over .500 in May, then went 32-18 in June and July to climb into the playoff hunt. Suddenly, the sellers had become buyers. The spending spree began July 24, when the Royals shipped promising left-hander Matt Strahm, pitcher Travis Wood, infield prospect Esteury Ruiz and cash to the San Diego Padres. They got in return starting pitcher Trevor Cahill and relievers Brandon Maurer and Ryan Buchter, filling two of their most pressing needs with one eyebrow-raising trade. Cahill was 4-3 with a 3.69 ERA when he was dealt, though his first start for Kansas City was a struggle. Buchter sported a tidy 3.05 ERA in 42 appearances for the Padres. Maurer saved them 20 games. General manager Dayton Moore wasn’t done working the phones, either. Less than an hour before the Royals beat the Red Sox on Sunday, the club acquired outfielder Melky Cabrera from the Chicago White Sox for pitching prospects A.J. Puckett and Andre Davis. The switch-hitting veteran would be an upgrade in right field, could spell the struggling Gordon in left field and can provide help at designated hitter, where nobody has managed to produce this season. Cabrera, who played for the Royals in 2011, was hitting .295 with 13 homers for the White Sox, and had been a particular thorn in the side of Kansas City all season. Starting pitching, relief pitching and a veteran bat that provides lineup flexibility. Indeed, the Royals managed to cancel out a nine-game losing streak during their disastrous April with a nine-game winning streak that ended Saturday in Boston. They then bounced back to take the series finale Sunday, making it 10 out of 11 as they headed to Baltimore for three games beginning Monday night. The reason for the abrupt turnaround is hardly a mystery: The Royals’ slumping offense got on track, for the most part, and a hodge-podge pitching staff managed to come together at the right time. So, the Royals found themselves two games back of Cleveland in the AL Central heading into Monday’s games, and 2 1/2 games up on the Tampa Bay Rays for the second wild card. They also find their roster bolstered for another playoff push.